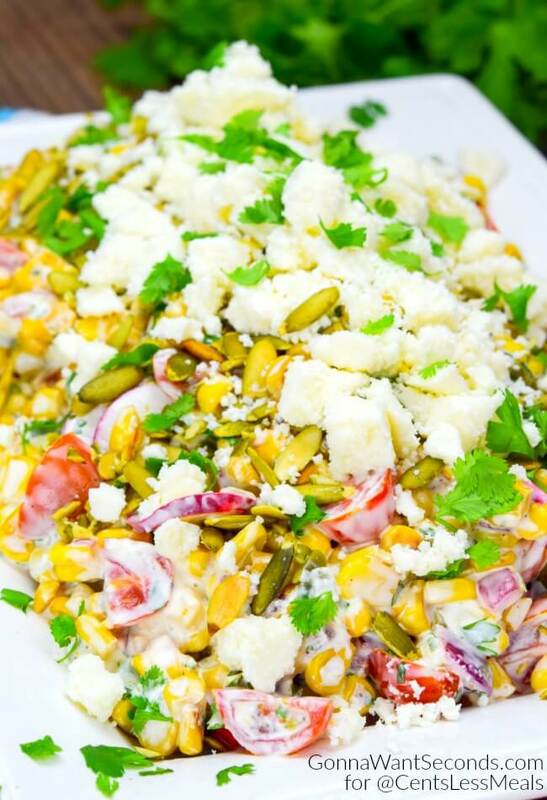 Mexican Corn Salad combines fresh veggies with a creamy cilantro cayenne dressing and topped with crumbled Cotija to create a flavourful fiesta in every bite! It is truly a celebration of flavors! 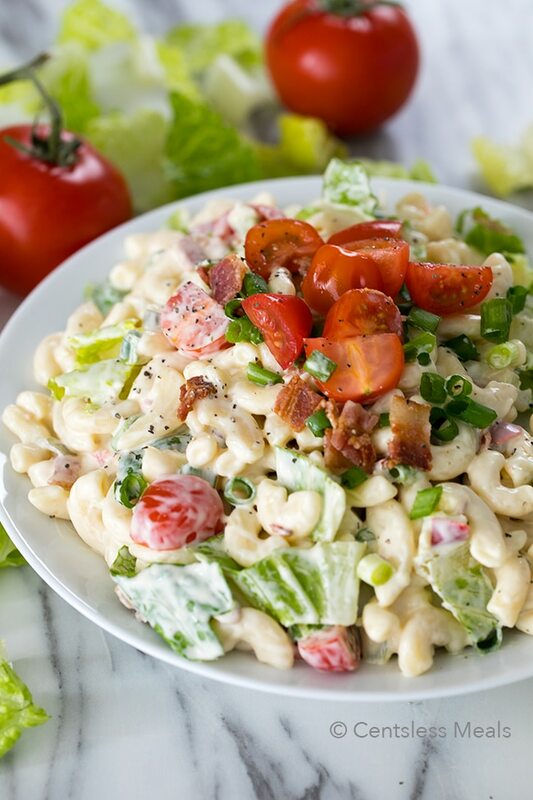 PIN IT to your SALADS BOARD to save it and share it! Whenever I travel, I always have the same objective: to eat where the locals eat (in case you didn’t know, eating local means the calories don’t count). You’ll get the best that city has to offer, made by someone’s grandmother or father from recipes scribbled onto frayed note cards and passed down for generations. Street food is a window into the culinary soul of a country – inexpensive, everyday food locals grab for a quick lunch or a filling late-night snack. If you’ve ever visited Mexico, you’ve seen the skewered foil packets hiding whole roasted ears of corn slathered in creamy sauce spiked with chili powder or cayenne pepper, lime juice, cilantro, and crumbly bits of salty cheese. My recipe is for a wonderful salad inspired by this Mexican street corn and the “fried corn” or esquites served in little cups (only preferable if you like civilized eating with a fork vs. a face smeared with all the creamy corn). 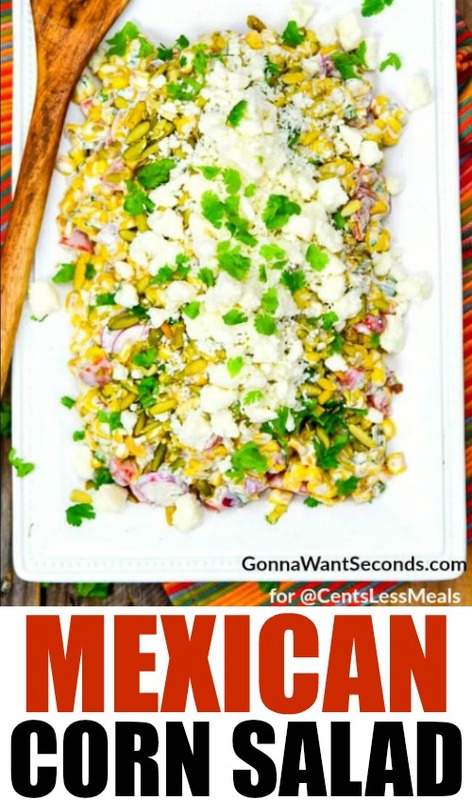 My Mexican Corn Salad can be made with fresh or frozen corn, charred with a bit of onion and garlic in a cast iron skillet, then tossed with sweet cherry tomatoes and crisp, peppery radishes. 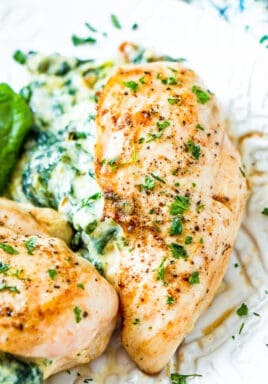 The dressing uses both mayonnaise and sour cream, lime juice and a bit of zest to get your mouth nice and puckered, fresh chopped cilantro, and a generous kick of cayenne pepper. You can garnish with a little Cholula if you’re feeling feisty and handfuls of crumbled cotija (which is an aged cow’s milk cheese similar to Parmesan). The tangy qualities from the lime and cheese along with the sweet corn and caramelized onions, plus all the salty spicy stuff, hits all the tastebuds and makes a complex side dish suitable for any grilling adventure. I like to serve it at a big weekend fajita party or as a tasty weekday lunch with a little chicken and avocado on top. 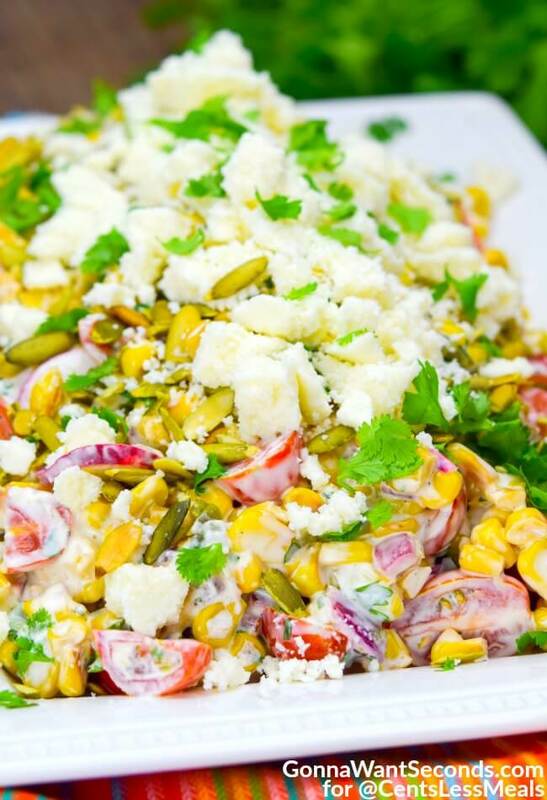 A simple corn salad reminiscent of your favorite Mexican street corn. In a large, heavy bottom skillet, heat the vegetable oil over high heat. Add corn and red onion and cook, until corn is slightly charred, about 5-7 minutes. 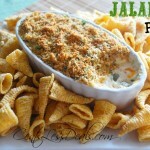 Turn heat to low and add garlic, and jalapeno and cook for 1 minute longer. 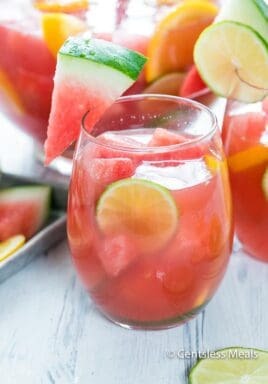 Remove from heat and allow to cool to room temperature. In a large mixing bowl, mix together the cooled corn, cut tomatoes, and radishes. 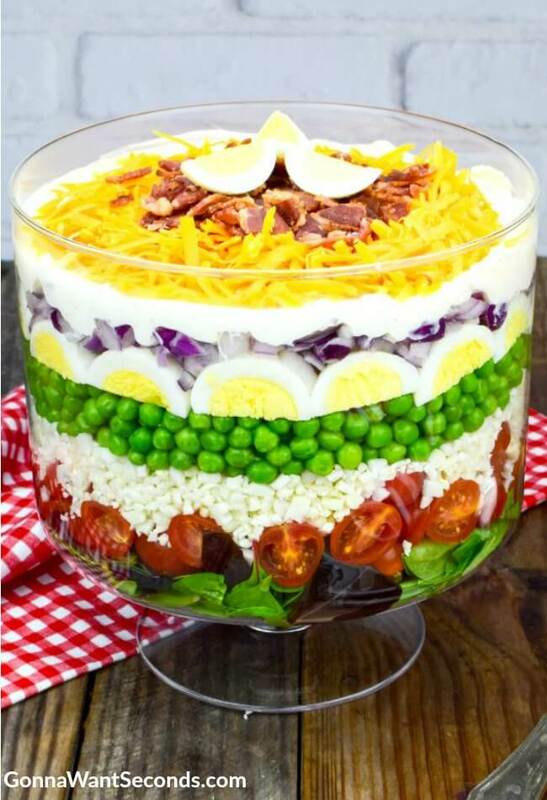 In a small mixing bowl, whisk together all the dressing ingredients. Add dressing to corn mixture and gently fold. 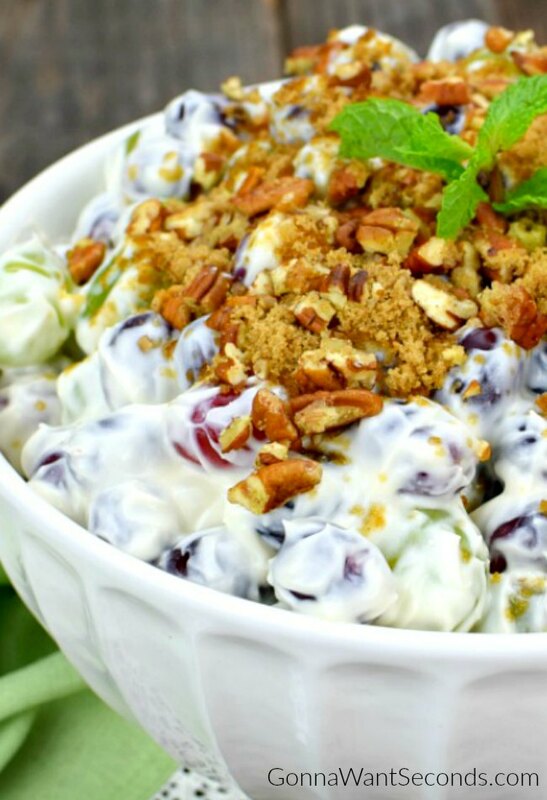 Sprinkle the top of salad with cojita, pepitas, and cilantro. Serve. 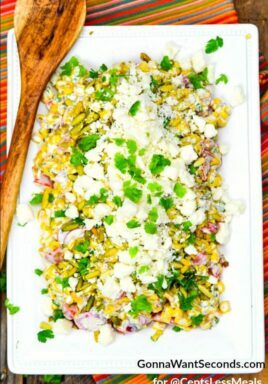 My Mexican Corn Salad is a great way to bring a little local Mexican flavor back to your own dinner table!